The first strategic plan for Irish sport, which was designed to bring all elements of sport together in a cohesive way for the benefit of those involved in sport, was published in 1997 by the Department of Education. Strategic goals were set out, but a lead body was needed to coordinate and monitor efforts and initiatives. This led to the establishment of the Irish Sports Council (ISC) as a statutory body in 1999. Irish sport policy was now centralized. To-day, government oversight of sport is exercised through the Department of Transport, Tourism and Sport (DTTAS) in co-operation with various agencies: primarily the Irish Sports Council (ISC) and the National Sports Campus Development Authority (NSCDA). Sport in Ireland is mainly financed by government by way of grants and subsidies drawing on central funds including the National Lottery. 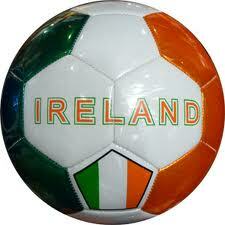 For 2014, the government sport budget is €95m (www.DTTAS.ie). In this seminar, Ann Bourke will provide a brief overview of sport in Ireland, setting out details of popular sports, current levels of participation and governance features. The core principles underpinning sport and sport policy in Ireland will be considered along with the overall structure of sport, focusing on organizations and agencies (Government/Non-Government) which operate at the three levels – national, provincial and local. The key challenges in relation to funding (capital and current) will be discussed along with the mechanisms used to evaluate sport policy outcomes and value of government investment in sport. So, what are Sport Ireland’s future prospects? It is widely acknowledged that the sporting landscape in Ireland has changed considerably during the last decade with many improvements in facilities and advances in sports administration, management and policy evaluation. However, this presenter contends that there are many challenges associated with the current strategy / policy arrangements. There is some evidence of duplicated efforts across the sports policy as documented and published, and there is a need to better configure sports policy and strategy at and across all levels. Some recommendations to enhance organization model will be proposed. The ISC and NSCDA are to be merged under the Sport Ireland 2014 Bill now being considered by the Irish Parliament (Oireachtas). Dr. Ann Bourke is currently Senior Advisor – Academic Affairs with the Institute of Banking, which is a recognised college of University College Dublin (UCD). She has published widely and presented at many conferences on sporting matters including Governance in Sport; Sports Strategy and Policy; Young player international mobility; Sports scholarships and Education through sport. She has advised a number of Irish Sports NGBs on Governance matters and Crafting Organisation Strategy. Dr. Bourke was a Board Member of the European Association of Sport Management (EASM) from 2003 to 2009. Bourke, A. 2013, “Ireland”, in K. Hallmann and K Petry (Eds.) Comparative Sport Development: Systems, Participation and Public Policy. New York: Springer. Irish Sport Policy Powerpoint Presentation.